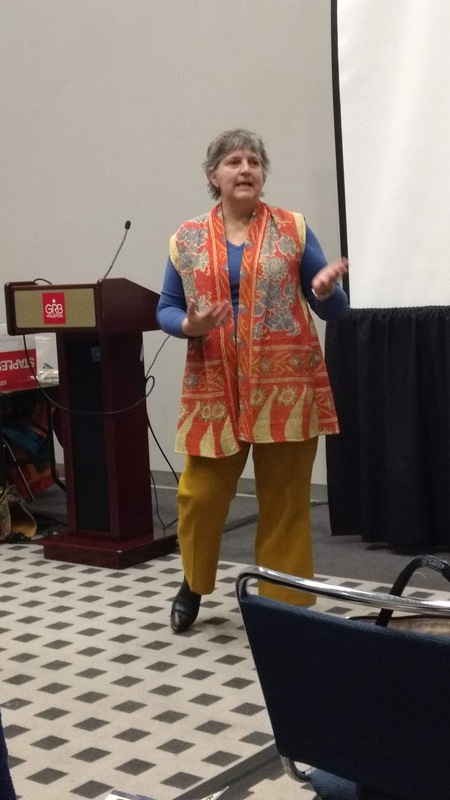 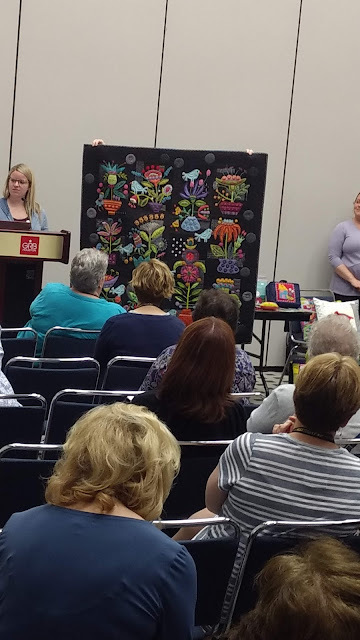 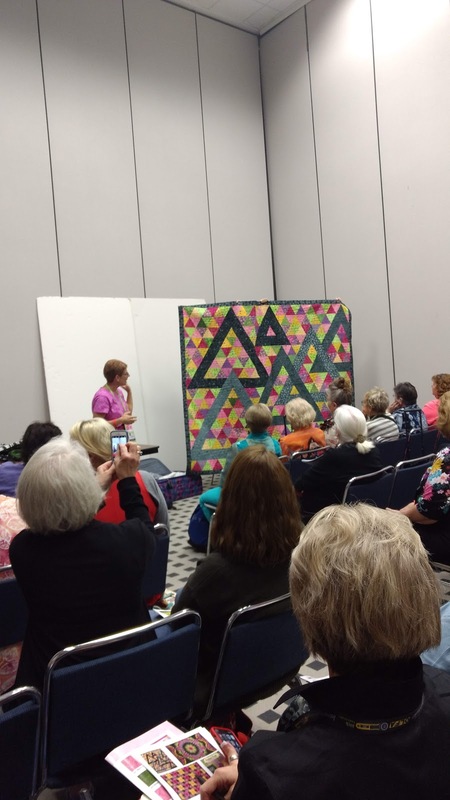 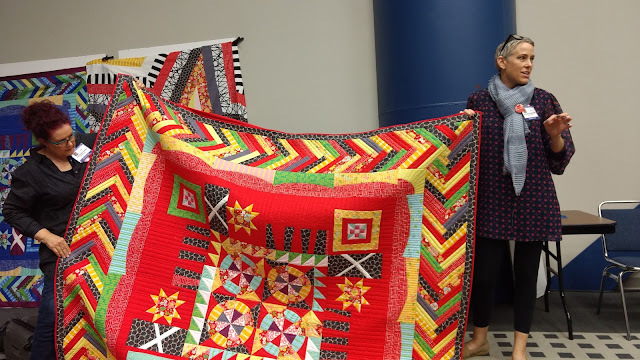 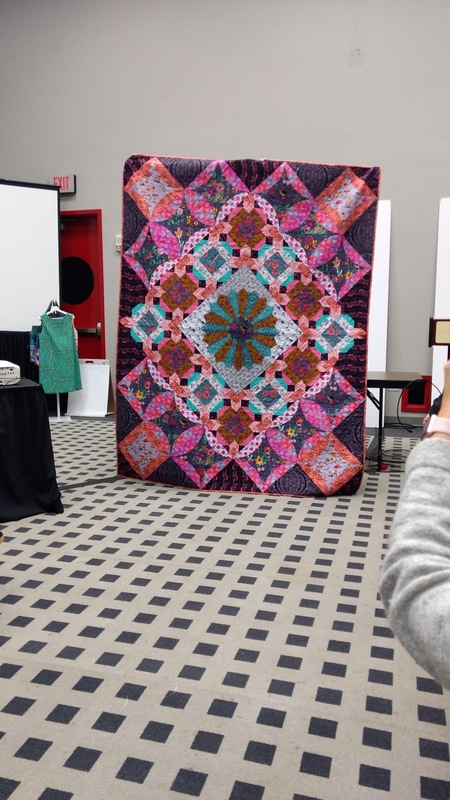 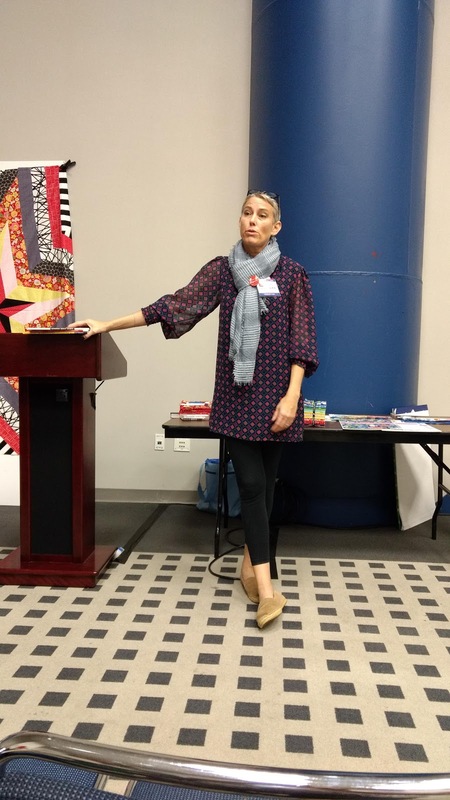 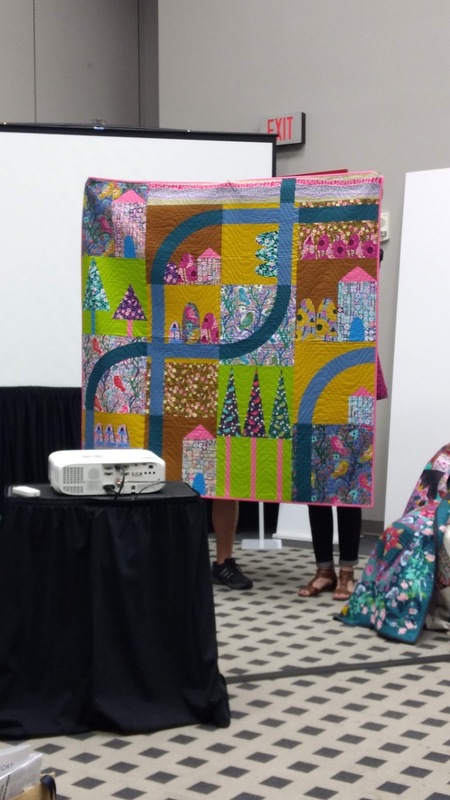 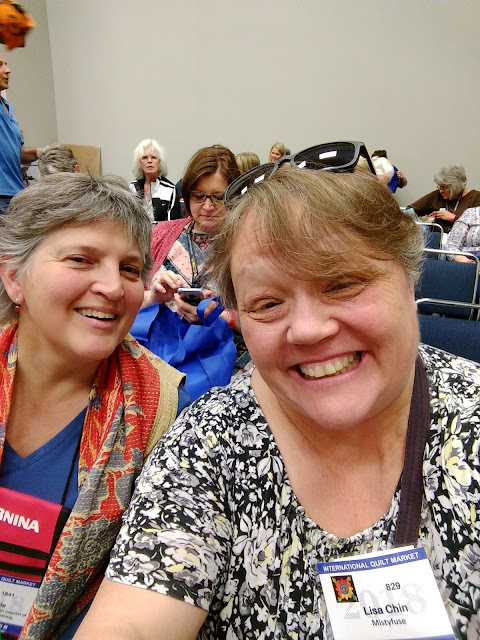 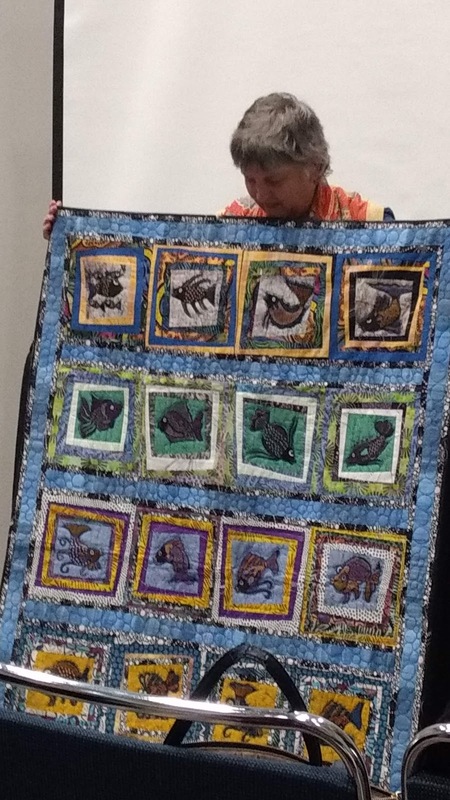 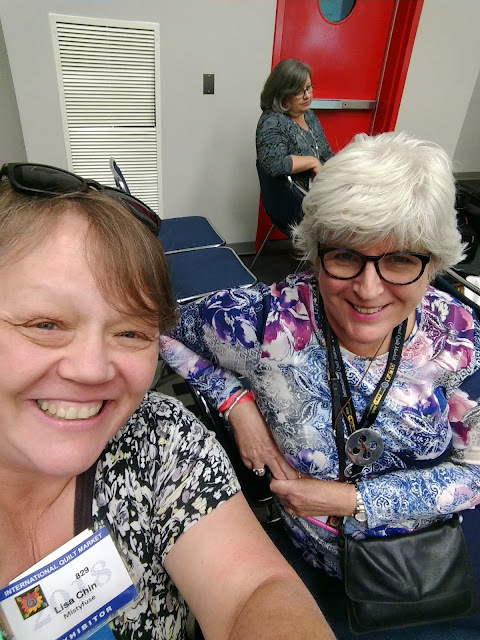 Before Quilt Market opens there are a number of classes, called Schoolhouse, available to attendees. The half hour classes are the place to see the latest fabrics, patterns, and products. There is no way to attend them all so you have to be picky and choose wisely. Anna Maria Horner introducing her newest Conservatory line. Judy Gula talking about her book due out in January! 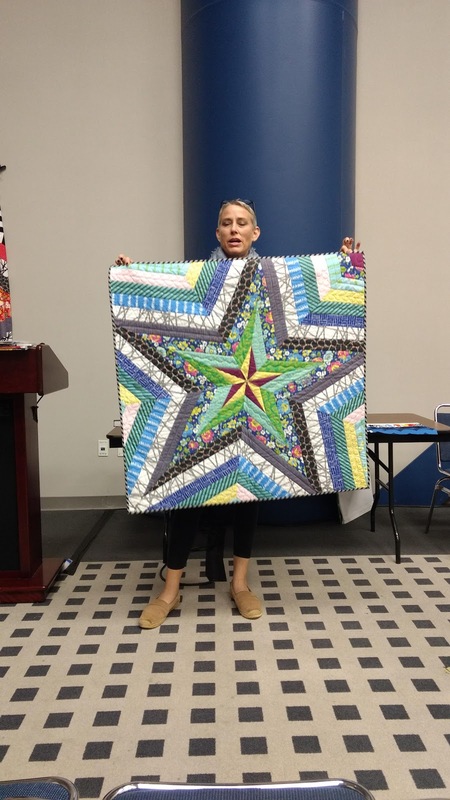 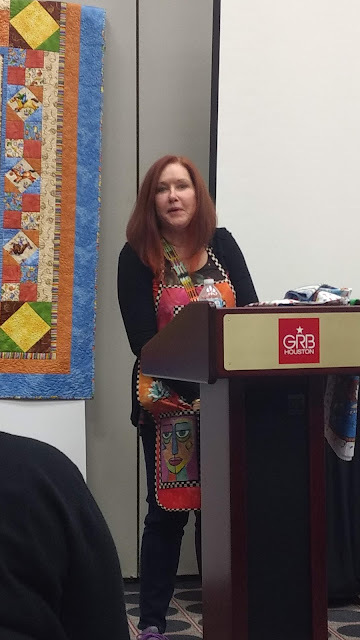 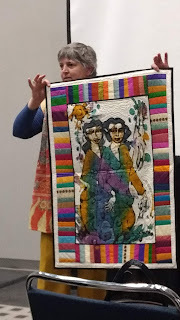 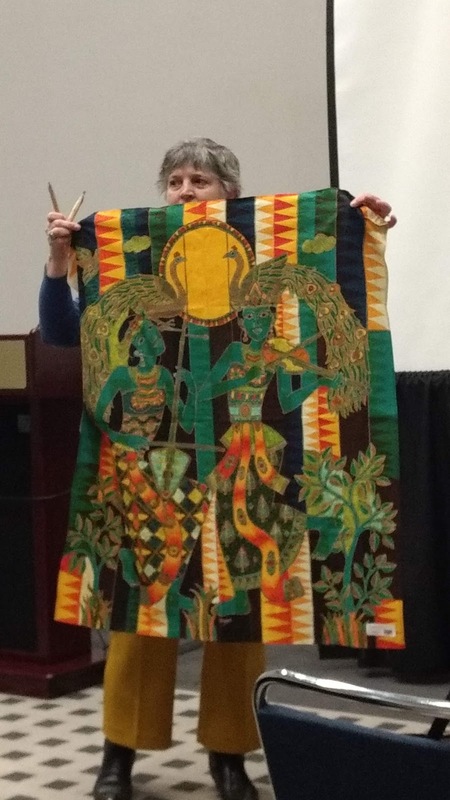 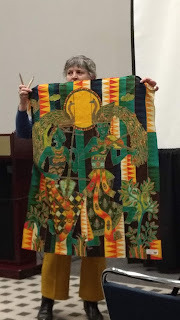 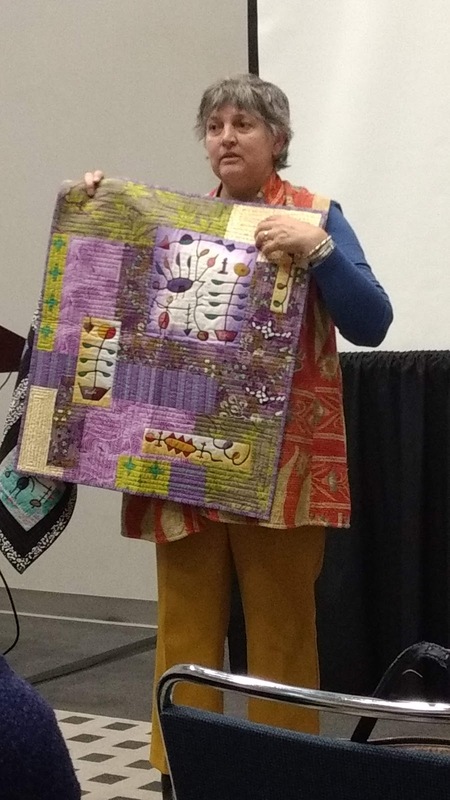 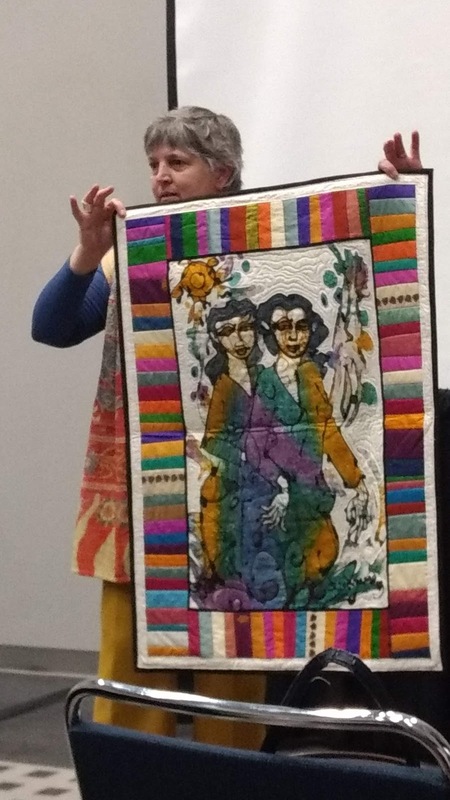 Her book is called "Colorful Batik Panel Quilts: 28 Quilting & Embellishing Inspirations from Around the World"
I won a copy of this pattern so hopefully making it is in my future. 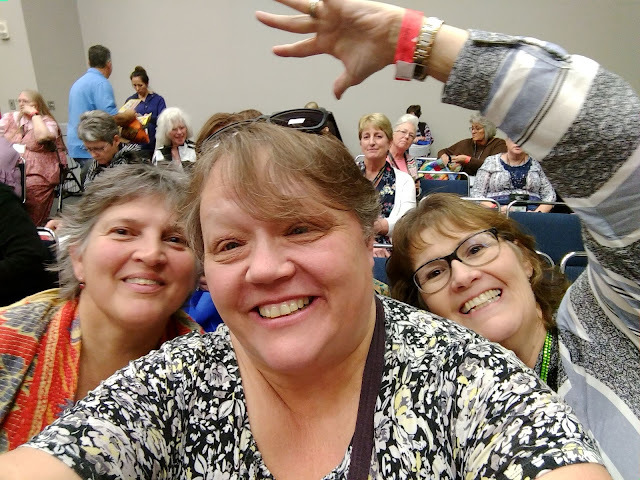 Of course a big part of the fun is being able to spend time with friends! 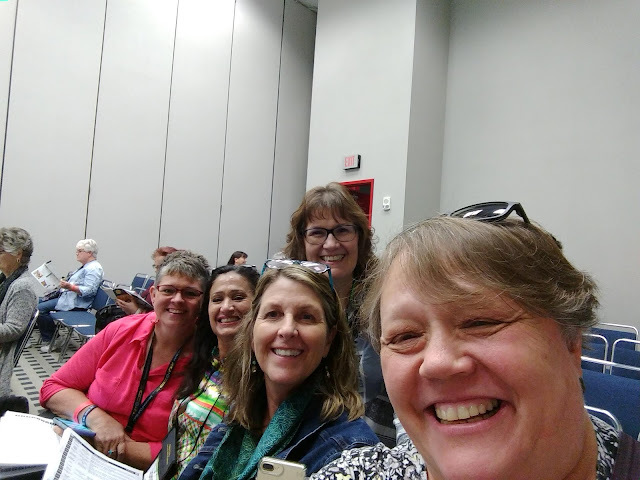 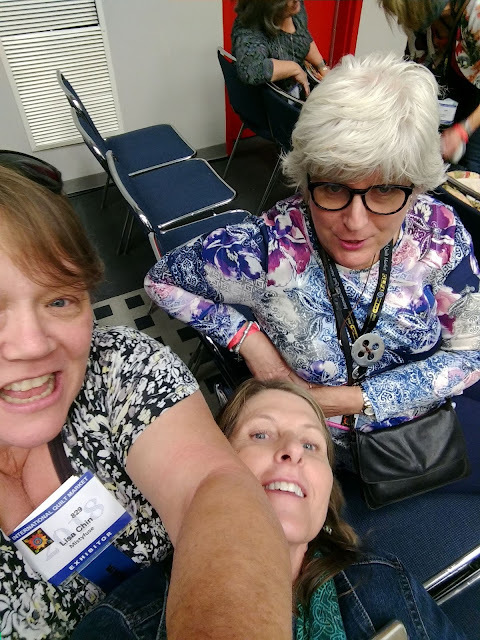 Gina Reddin, Johanna Felderbaum, Libby Williamson, me and Michelle Banton in back. 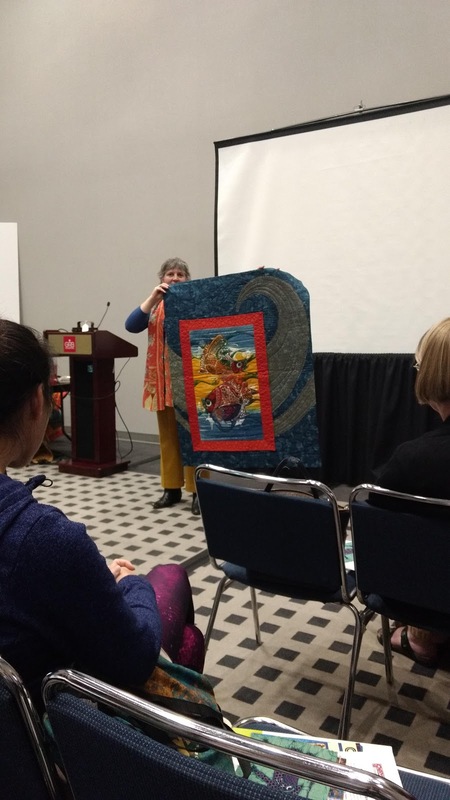 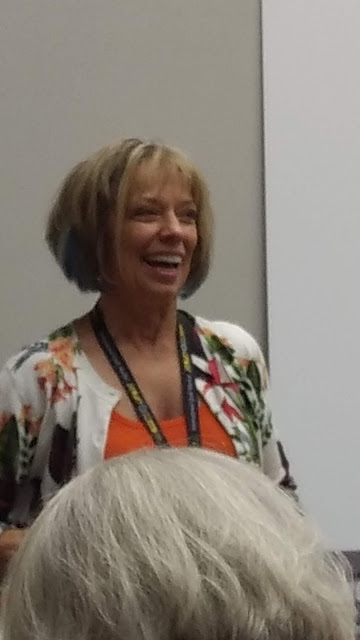 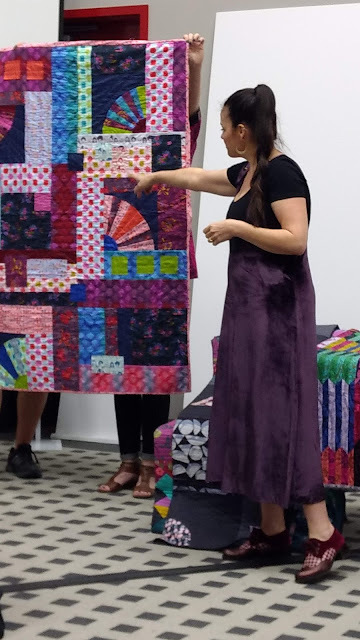 Jenny Lyons introducing her new free motion quilting book. I will be joining Jenny's blog hop about her new book in December so stop by back to see all the book has to offer! 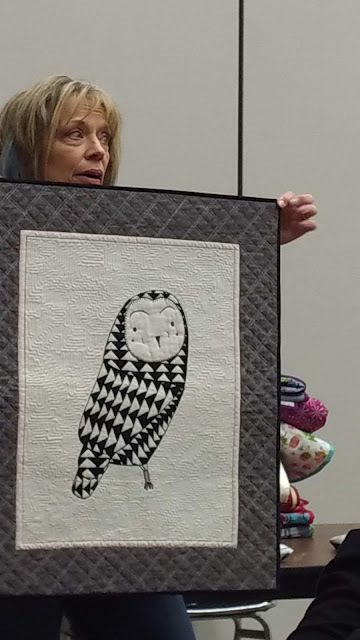 Desiree Habicht introducing her new fabrics and patterns. 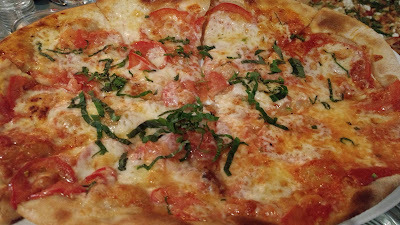 It was a very busy, and informative day, which deserved a margherita pizza.